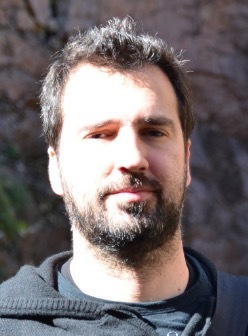 Panayiotis Tsaparas is a visiting faculty in the Rad-Lab from the University of Ioannina where he is an Associate Professor. He has an undergraduate degree in Computer Science from the University of Crete, and a M.Sc. and Ph.D degree from the University of Toronto. He has worked at University of Rome, “La Sapienza”, University of Helsinki, NIH-NCBI, and most recently as a researcher at Microsoft Research. His research interests include Social Network Analysis, Algorithmic Data Mining, Web Mining and Information Retrieval. He is an active member of the community and he has served several times as a PC and Senior PC member for premier Data Mining and Data Bases conferences such as KDD, WWW, WSDM, VLDB, ICDE, and as reviewer for journals such as TKDE, TWEB, CACM, TODS, KAIS, DMKD, while he is editor for the OSNM Journal. He has served in NSF panels, and as a reviewer for Hellenic Research Foundation. During his tenure at Microsoft he received 3 technology transfer awards for successful transfer of research results to product groups. He has published 58 papers in peer-reviewed conferences and journals, and has filed for 12 patents, 7 of which have been awarded. According to Google Scholar he has in total more than 4,000 citations, and h-index 26. His Erdos Number is 3.